Not so grumpy now….. Probably because the TV is off. I unsuccessfully attempted to phone dear old mum this morning. She is having a cheap holiday and I couldn’t get an internet signal from the boat to make my weekly call on Skype. The main phone on the boat (Samsung Galaxy S1) is only 4+years old (yes, I know you young-uns think it’s ancient) and I resent the fact that despite running 24/7 for its life the damned thing is slacking on the job. It’s tethered which provides us with a local wireless network in the boat. It’s also our communications lifeline. Now I know you will have realised I didn’t pay the Australian retail price when purchasing it. Hell I’m not paying A$600 for a phone! It was a parallel “grey” import. Nevertheless, I do expect it to last. Of course I’m a belt and braces guy, so whilst I was in ‘The Land of Sand’ last year I seized the opportunity to buy a second phone. 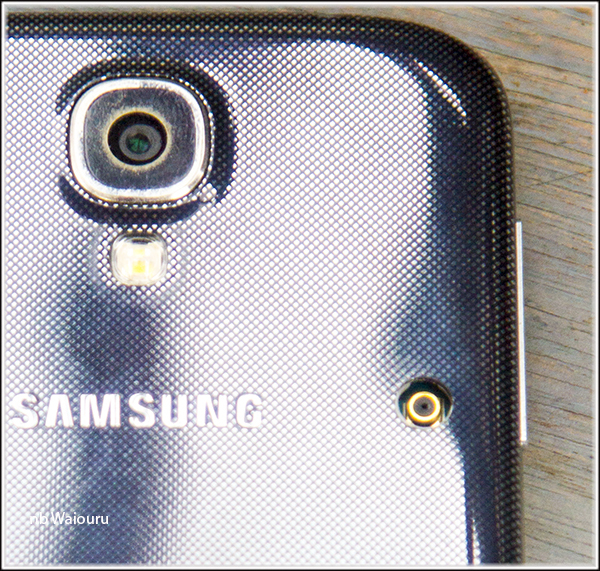 This time it was a cheap Samsung Galaxy S4 LTE (the 4G model). The problem was on my return to Albion the darned thing couldn’t find a signal much of the time. I ‘cracked’, ‘hacked’ and ‘rooted’ it and managed to change the operating system to the UK version, but it would still only work in a major city. Part of me wants to blame Vodafone, however I suspect there is a problem with the phone. Anyway, I buy Samsung phones rather than those from Pear Apricot Peach Apple because the operating system (Android) is easier to work with and; more importantly; underneath the phone’s back cover there is a socket which enables us to connect it to an external aerial. As we were having a lazy day and the internet wasn’t working, I decided to experiment by replacing the old Samsung S1 with the “broken” new S4. I plugged the S4 into the external aerial and hallelujah the S4 connected to the network; even more importantly; gave a higher speed connection than the old S1. 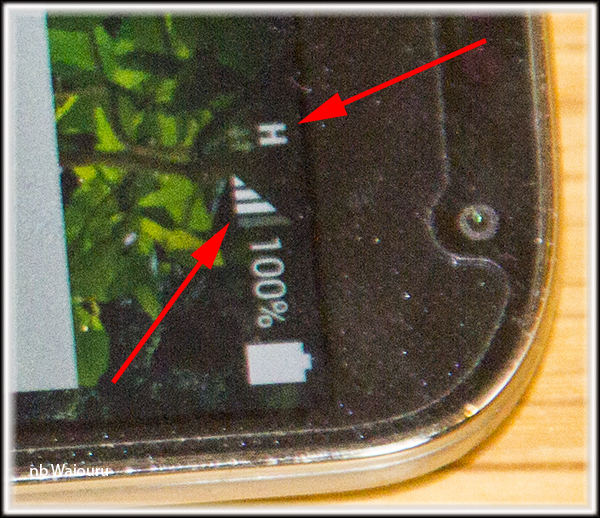 You can see in the above photo there are three bars on the signal strength and we have an “H” indicating a higher speed internet connection. The next photo shows the connections on the reverse of the phone. After carefully placing the small square of rubber over the socket I removed the paper covering the adhesive on the exposed face. The back cover was then clipped onto the phone. 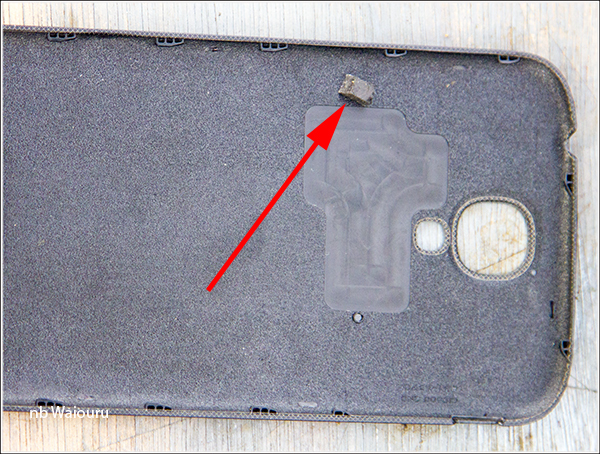 Next it was carefully removed ensuring the little rubber square had adhered to the inside of the case. 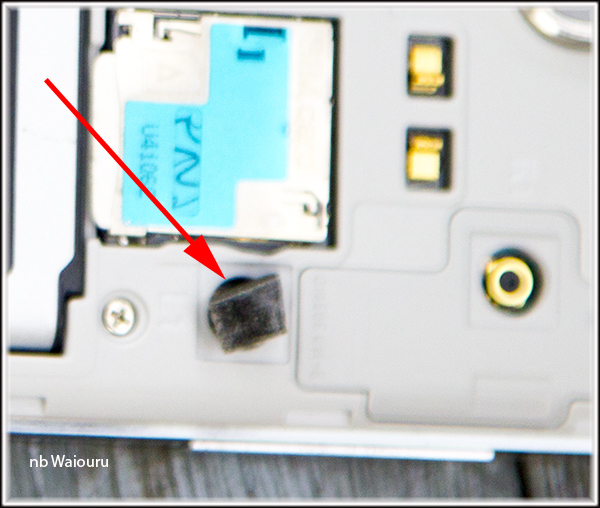 Then I drilled a hole through the centre of the rubber square; removed the rubber; and replaced the cover on the phone. End result is the Samsung S4 that couldn’t connect to the mobile phone network now has a connection via the external aerial and is providing us with good internet coverage. The old Samsung S1 is now my walking phone and has a SIM card with no internet coverage. Win – win! Oh, dear old mum is actually in hospital where she is being pampered by the nurses and flirting furiously with the doctors. Apparently the bed is comfortable, food delicious and the the company pleasant! I’ve told her that’s great news and she can return her Christmas holiday funds to my inheritance account. We had another delicious Sunday lunch at the Barely Mow, Newbold. Much better than The Boathouse at Braunston. By mutual agreement we decided this would be our Christmas lunch. Much cheaper than eating out on the 25th and not so crowded. I’d better start planning a walk for tomorrow.